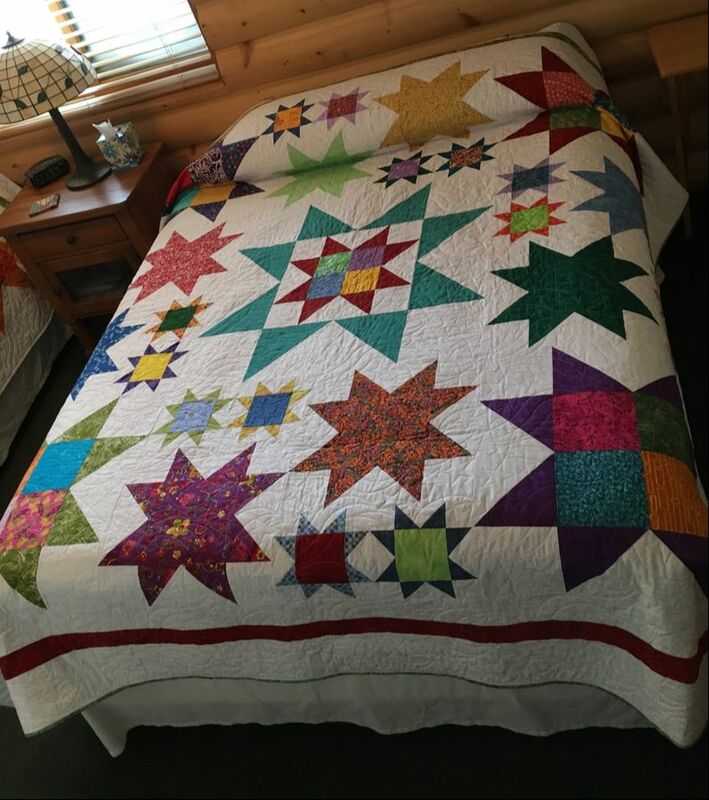 This beautiful quilt is a wonderful splash of color! It is made with a variety of colorful fabrics in a variety of star sizes, with a white-on-white background fabric. The back is a green leaf fabric with the same binding. This beautiful quilt looks like a watercolor painting and is made with digitally printed fabric from the RJR Fabrics line Wildwood Way, with lots of vibrant purple, green and white florals, and a white sashing and border. The back is a green floral batik, with a stripe binding. 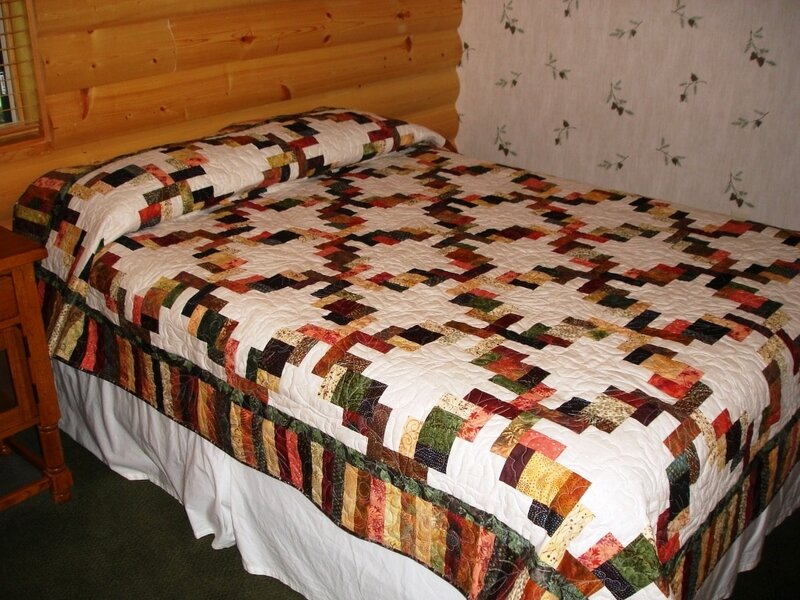 This beautiful quilt is made with a variety of batik fabrics in the Minnesota Hotdish pattern with a piano key border. The back is a brown and cream fabric with a matching binding. 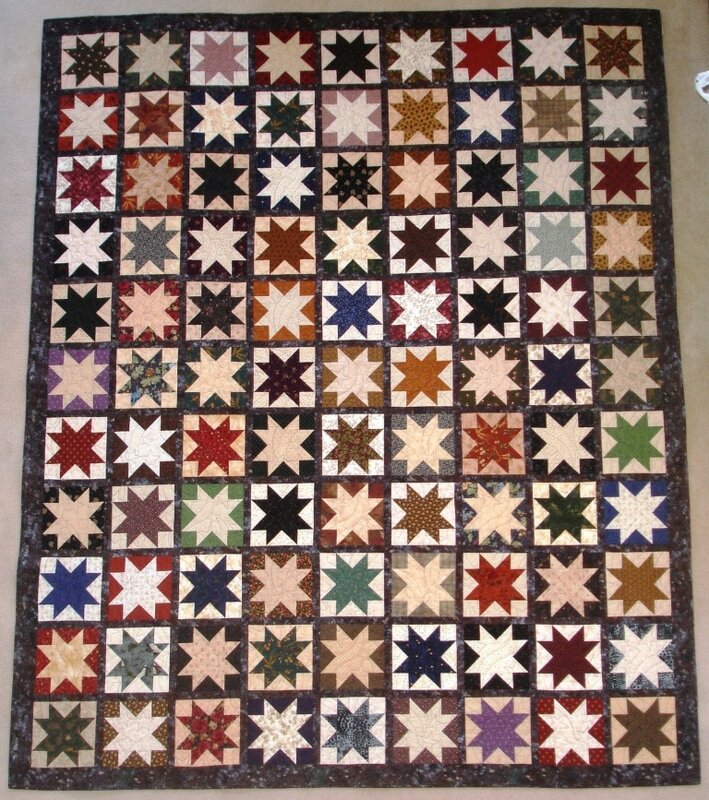 This scrappy Queen Size quilt is made with 99 different stars, 50 different fabrics! Each star is surrounded by an interesting gray marble, with the same fabric on the border. 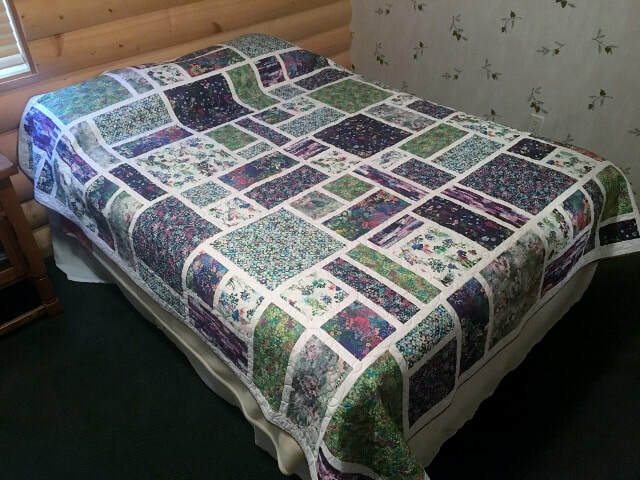 The quilt has a gray floral backing with a gray marble binding.